EASTER is almost upon us and while the long weekend will be a time of religious contemplation for many, it’s also an occasion to indulge in the sweetest of treats... chocolate. The Irish purchase an estimated 17.7 million chocolate Easter Eggs each year, and that number might be about to climb – now that we can treat ourselves to some of our favourite drinks in chocolicious form. That's right, Baileys and Guinness flavoured Easter Eggs are a thing and they look absolutely delicious. 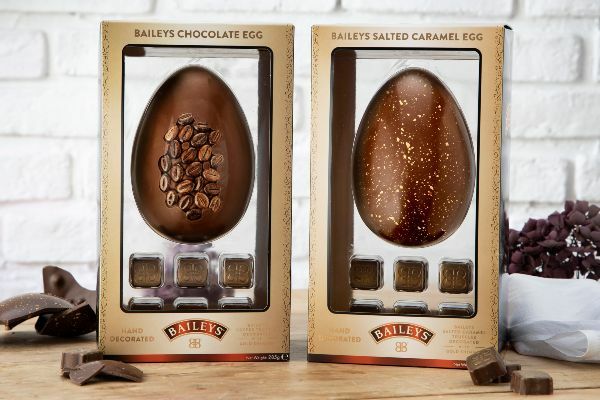 Lovers of Baileys, the iconic Irish cream liqueur, have a choice of two exquisite selections – the Baileys Salted Caramel Egg and the Baileys Coffee Egg. The Baileys Salted Caramel Egg (275g) combines a silky, milk chocolate shell speckled with crunchy salted caramel pieces throughout – and is presented with six irresistible gold-shimmer chocolates; a crisp milk chocolate exterior filled with an oozing salted caramel center. Meanwhile, the Baileys Coffee Egg (285g) is ideal for coffee-lovers with its blend of rich roast coffee, chocolate and a touch of Baileys itself. 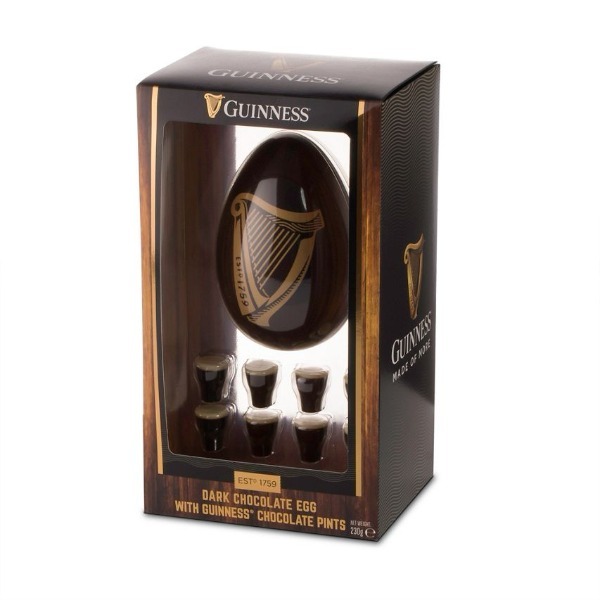 As for fans of the black stuff, the Guinness Dark Chocolate Egg with Pints (230g) balances the creamy notes of Guinness with sumptuous dark chocolate – and also comes with eight mini dark and white chocolates with a Guinness flavoured centre in the iconic Guinness pint shape. A larger version, the Guinness Luxury Easter Egg Dark Chocolate (360g), is also available for those poor folk who gave up chocolate for Lent. The Baileys Salted Caramel Egg, the Baileys Coffee Egg and the Guinness Dark Chocolate Egg are all priced at €13 and are available from selected Tesco, Dunnes, Supervalu, Spar, Eurospar, Londis and Mace stores.